We can't resist a sharp-dressed man (or a good ZZ Top reference, for that matter), and the stylish powers that be clearly know our weakness, sending first Bonobos and now Indochino to the District. The latter, in case you're not up to speed, is a men's e-commerce brand devoted to custom suiting at a reasonable price point (suits start at $379), and the team will set up shop at Living Social for a week starting on Saturday. 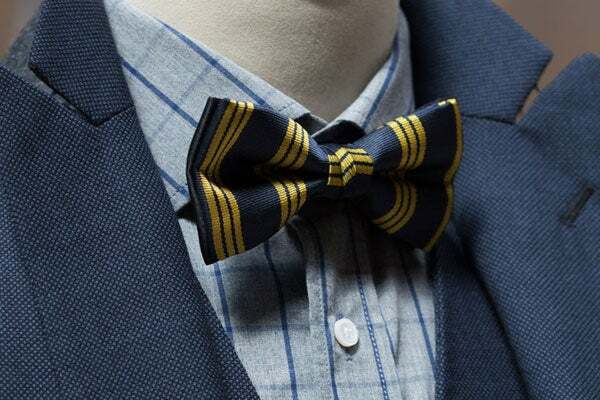 If your fella suits up every day for work (or you'd just like an equally stylish partner for fancy events), book him a 15-minute appointment at the F Street outpost, and sit back while he gets measured for a custom suit, shirt, or whatever Cinderella-esque combo he can dream up. If that doesn't win you Girlfriend/Wife/Gal Pal of the Year, we can't help you. When: Saturday, March 2, through Sunday, March 10. Appointments available from 8 a.m. to 8 p.m.
Where: Living Social, 918 F Street NW; no phone.